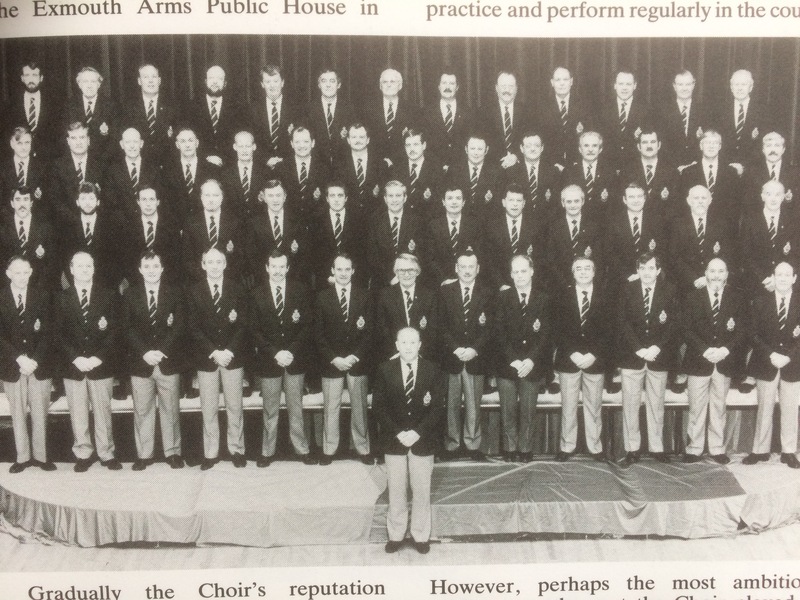 Police Choir in Blazers and slacks. Police Choir Management Committee.. Left to right. Ray Williams (Bass),Don Wyman (Chairman), Richard Powell-Chandler (Treasurer), Douglas Bloom (Musical Director), Wayne Freeth-Selway (First Tenor), Bernard Cooper (Secretary) , Geoffrey Morgan (Baritone), Raymond Brooks( Second Tenor) and Jeffery Bloom (Second Tenor). 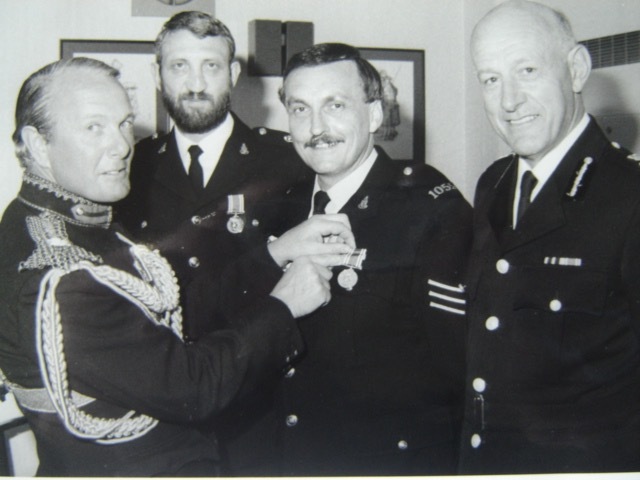 Police Long Service and Good Conduct medal presentation. High Sheriff presenting medal to Sergeant John Davies 1055 and Inspector Wayne Freeth-Selway 1056 with Chief Constable Albert Pacey. 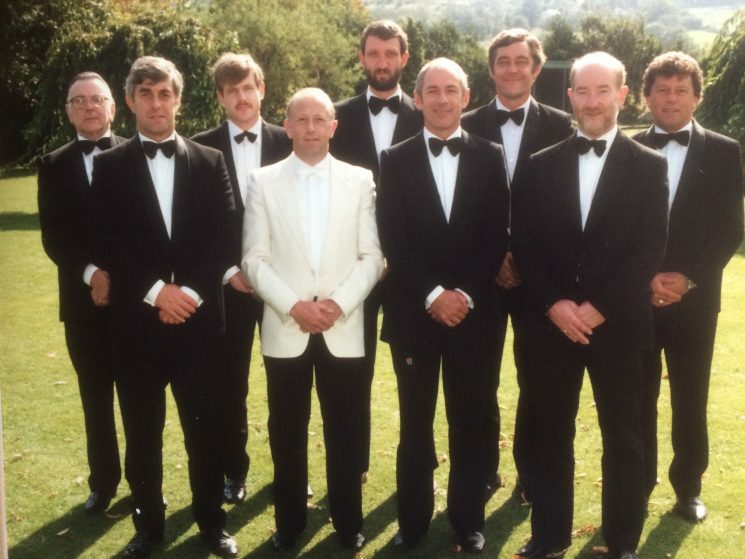 Inspector Wayne Freeth-Selway at Stroud 1998 -30 years service-Pre-Retirement. 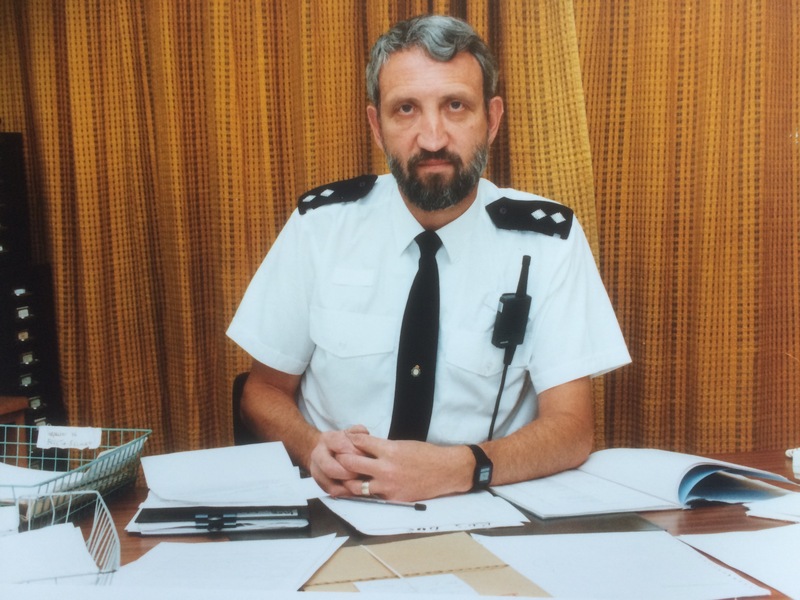 You have permission top use my 1968 Chief Constable's album photo and this one is me as an Inspector at Stroud just before I retired in 1998. 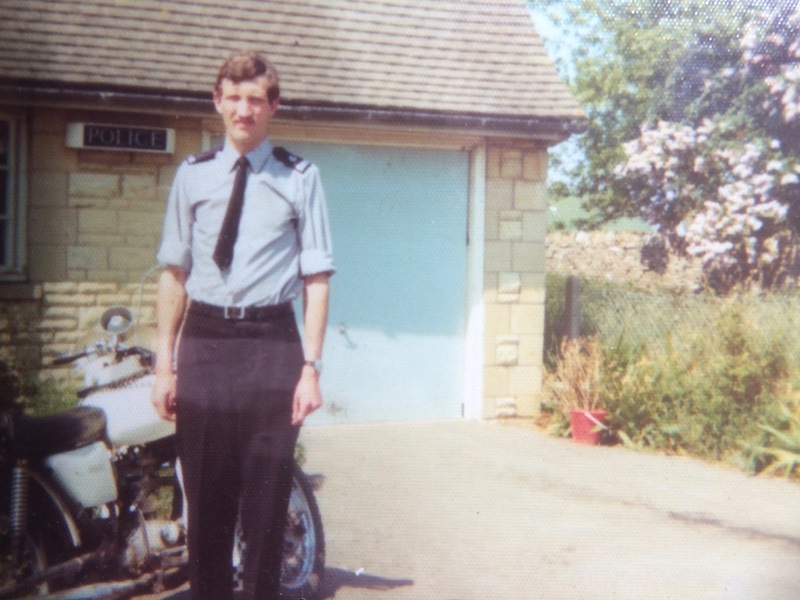 Outside Bibury Police Station with my BSA Fleetstar motorcycle in about 1973. This page was added on 24/08/2018. I remember Wayne at Filton Hill Primary School. It is good to see such a successful career celebrated. Please send my best wishes to Wayne.